If you know anything about digital marketing, then you know the role that search engine optimization has to play. 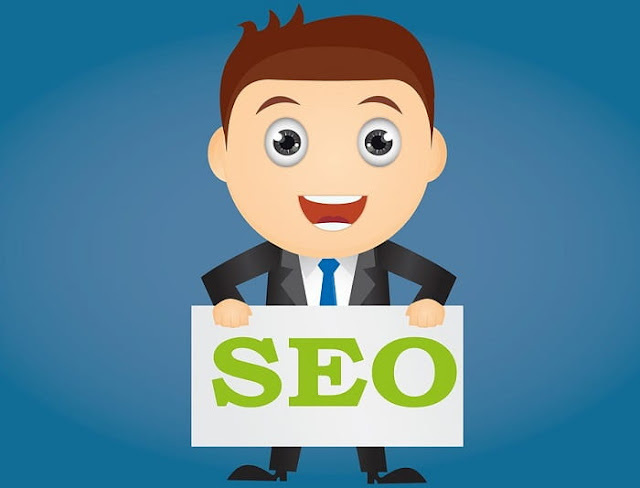 SEO is all about maintaining your visibility and increasing the organic reach your site has, helping you stay on peoples’ radar so that you don’t have to rely on less costly methods like advertising quite as much. There are a few experts, in particular, you should always be following if you want to make the best of SEO. Matt Cutts is one of the original, if not the original celebrities in the world of SEO. Matt Cutts used to be the head of search engine quality at Google until resigning early in 2017. As such, there are few people who understand the inner-workings of how search engines think about SEO. Not only has he been behind some of the major changes in SEO over the past few years, he has a great deal of insight and delivers advice on not just what to do with your efforts now, but how you can prepare your SEO efforts for likely changes in the future, too. While Matt has been quieter on the SEO front lately, he's still a top SEO expert and influencer in the field and always will be. If there is anyone with a history in search engines that can rival Matt Cutts, it’s Danny Sullivan. Head of Marketing Land and Search Engine Watch, he has practically been talking about search engines for over twenty years, before Google was even a thing. As a result, he’s an authoritative source of news and often the first to say what changes in the Google algorithms actually mean and how to adapt your SEO practices. Any time you hear about a major update dramatically changing the Google landscape, it’s a good idea to get Danny’s take on it, what it might mean for your website and how to accommodate those changes. As one of the finest SEO consultants out there, Marie Haynes has the admirable ability to translate the specifics and the technicalities of the discipline into something that most business and website owners can readily understand. Most people dipping their toe into the deep waters of SEO will soon get an idea of how sometimes obtuse and difficult to understand it all can be. Marie Haynes is another great source of news on not just algorithm changes but trends and tech news, all of it boiling down to help you develop a practical understanding of SEO. She’s worth following if you don’t have all the time in the world to develop a deep understanding of the practice and you want to get to applying it sooner rather than later. If you do have the time and the dedication to take that deep dive, then there are few who get into the nuts and bolts of SEO quite like influencer Neil Patel. As well as heading up a variety of digital business like Crazy Egg and KISSMetrics, he’s also the author of the incredibly insightful book, The Advanced Guide to SEO. Neil has worked with some of the biggest brands on the block, including Amazon, Viacom, and HP, so he has plenty of business pedigree that lends weight to the expertise that he purports to offer. Not to mention he's a New York Times bestselling author with his book "Hustle" and a top influencer on nearly all social media platforms. Neil Patel is definitely someone to follow once you’ve got to grips with the basics of SEO and you’re looking to become something of an expert in your own right. If you know anything about SEO you should know Rand Fishkin, co-founder of SEOmoz, a leader in search engine optimization tools and community. His efforts to build Moz has helped to mature and refine the entire SEO industry and he remains an authority on all things search. Over the last several years or so he's been more of a figurehead, speaker, and writer than sheer SEO nerd. Rand Fishkin has very recently moved on from Moz (although he's still a majority shareholder and board member) to found a new company Sparktoro based around influencer marketing, but his SEO expertise will always be his primary legacy. Guy Sheetrit, who has been working in the SEO field for over a decade, founded Over the Top (OTT) SEO consultancy about four years ago. OTT specializes in advanced SEO techniques and unique optimization methods that have earned it a top position in many SEO company ranking sites as well as an undeniable top organic presence; the firm counts many Fortune 500 companies among its clients. Guy and his team share innovative tips on their company blog on search engine optimization. You can also find Guy's writing in any of the many publications to which he contributes including Search Engine Journal, Search Engine Watch, Huffington Post, SEMRush, Adweek and Business.com. Eric Enge is the founder and CEO of the award-winning Stone Temple digital marketing agency based in the Greater Boston area. Eric founded Stone Temple in 2002 and under his direction, the agency has grown to 70+ employees with a broad and diverse client base that includes many well-known Fortune 500 clients. Enge has been featured at countless SEO and marketing conferences and on hundreds of online publications. He's widely regarded as one of the top SEO experts and his SEO firm was actually acquired recently by another marketing company. Vanessa Fox was one of the creators of Google's Webmaster Central, their official blog on crawling and indexing the World Wide Web. After leaving Google, she founded and bootstrapped a search analytics firm, Nine by Blue, which she sold in 2013 to search marketing firm, RKG. Fox then went on to lead Keylimetoolbox, a search engine optimization software company specializing in developing and providing SEO tools. Keylimetoolbox has three core products. The first is a Google search console and Google analytics data. The second is SEO investigation and forecasting (which includes troubleshooting and redemption). The third is a server log analysis feature that allows site owners to reverse engineer Googlebot's crawl of sites in order to determine where the bot found issues. Keylimetoolbox's blog offers "SEO How To Advice And Guides." Vanessa is one of the most influential women in SEO today. Brian Dean of Backlinko is one of those dynamic entrepreneurial marketers who seems to be constantly traveling while remotely-working on his training business, while simultaneously blogging and running his link-building + search engine optimization business. You will find him quoted as an expert on SEO in many publications (including Inc.) and he offers plenty of good advice in his blog - even if the post titles are slightly exaggerated. He's a rising star in the world of SEO experts but already has solidified himself as one of the authorities on search engine optimization. If you haven’t noticed already, many of the different voices within the “SEO landscape” have their own strengths and their own focal points that can help you gain a more balanced understanding. Barry Schwartz recognized the power of those individual voices and the conversation they can spur on and created SEO Roundtable to make use of that. Uniting news and discussion from a wide variety of portals, he’s a must-follow, and can directly connect you to a wide-range of expertise you might otherwise miss. You never know where the next big piece of crucial insight might come in, and Barry Schwartz has been gathering, collating, and curating some of the top content and ideas from across the internet for over fifteen years now, so check out SEO Roundtable. Barry Schwartz is definitely in the top 10 best SEO experts list for search engine optimization influence. Search engine optimization is a multi-faceted aspect of online marketing and the more authoritative voices you can find to listen to, the better. Start with the biggest SEO experts mentioned here and keep growing your knowledge base until you, too, become a wizard of the SEO world. SEO isn't dead and it will be a game-changer for your business for years or even decades to come. Stay up to date with these top 10 biggest SEO experts in the industry to grow on Google! I hope you enjoyed this article about the top 10 best SEO experts in the world of search engine optimization and Google marketing.